Superior quality high protection SPF30, with non-greasy texture and high protection from UVA & UVB rays. 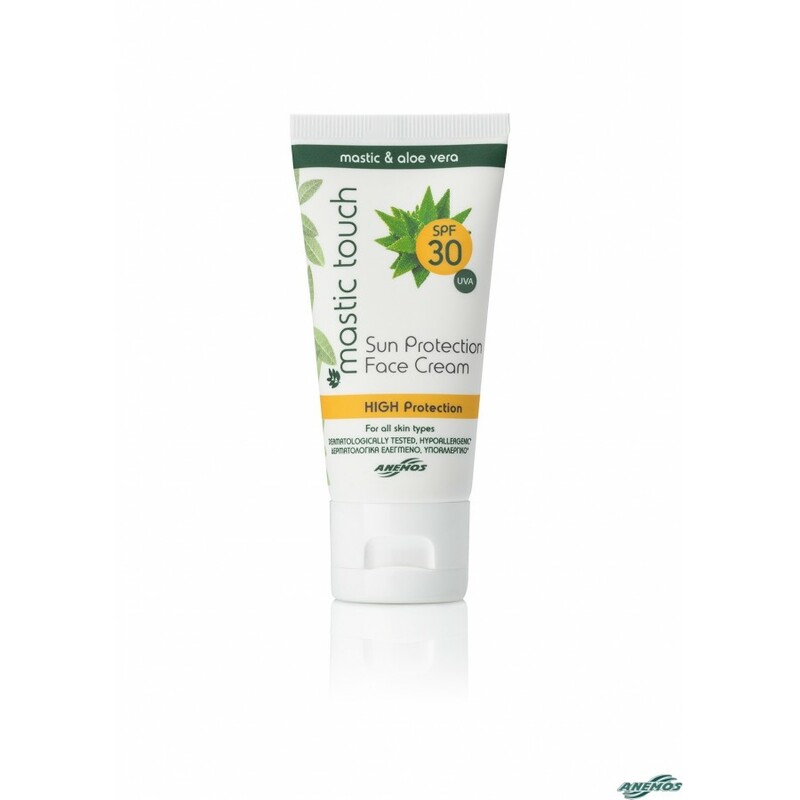 This sunscreen cream provides high protection UVB SPF 30 and UVA 13,8. The UVA protection is 30% higher than required by the European Union. 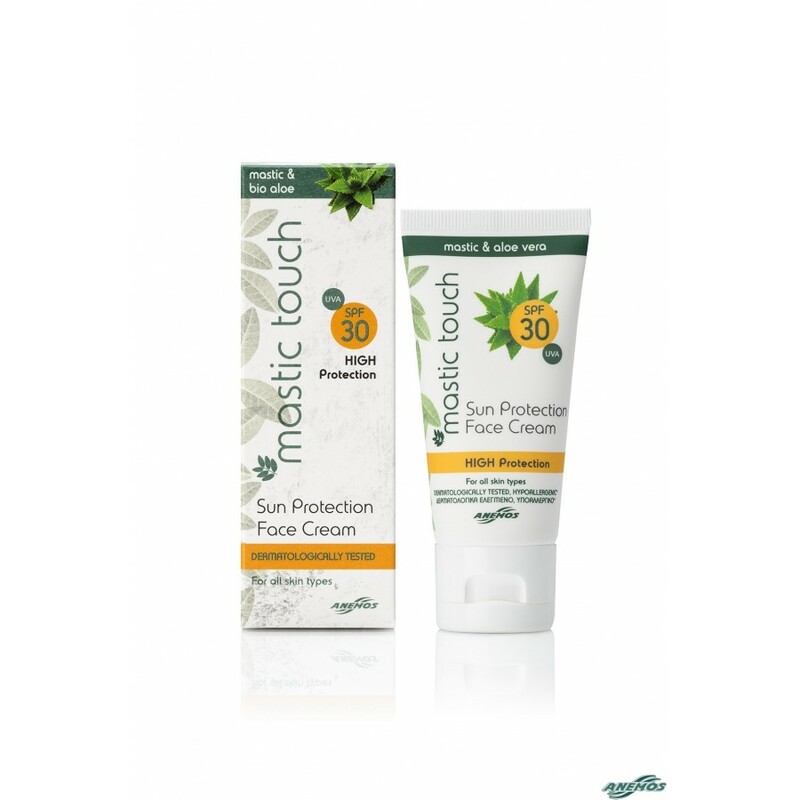 Moreover, the active ingredients contained in the cream provide a complete protection of the skin. Mastic oil: Used for thousands of years for its moisturizing, antibacterial, antimicrobial and anti-aging properties. It helps renew the skin cells. Argan Oil: Known for its beneficial moisturizing and anti-aging benefits to the skin. Sea Lavender (Limonium Gerberi): Studies in human volunteers show thatoffers 24-hour hydration by activating natural mechanisms of our skin and also improves skin quality. Use sunscreen products that protect against UVB rays and UVA radiation sufficiently. Keep babies and young children out of direct sunlight. Over-exposure to the sun is a serious health threat. Apply sunscreen products before sun exposure. Apply generously. 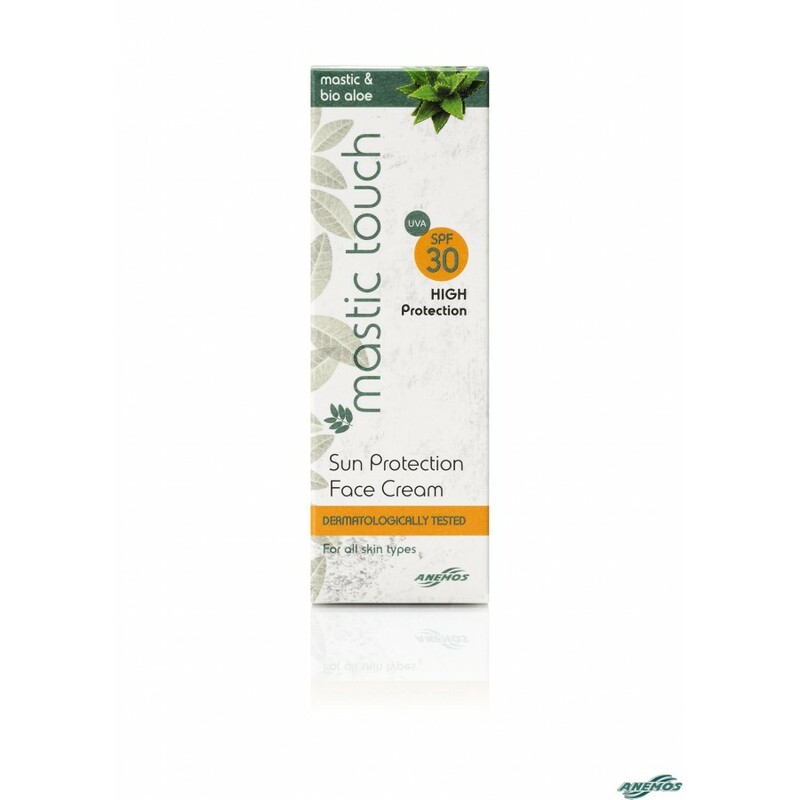 To reach the protection indicated on the "Sun Protection Factor", you must use quantity 2mg / cm2 skin. Reducing the quantity of sunscreen product applied will lower the level of protection. Avoid excessive sun exposure usually between 11:00 and 15:00, even if you are using a sunscreen. Hats, blouses and sunglasses may offer additional protection against direct sunlight. Ingredients: Aqua (Water), Octocrylene, Homosalate, Dibutyl Adipate, Methylene Bis-Benzotriazolyl Tetramethylbutylphenol (Nano), Dicaprylyl Carbonate, Caprylyl Methicone, Butyl Methoxydibenzoylmethane, Silica, Polyglyceryl-2 Dipolyhydroxystearate, Lauryl Glucoside, Glycerin, Panthenol, Tocopherol, Argania Spinosa Kernel (Argan) Oil, Helianthus Annuus (Sunflower) Seed Oil, Aloe* Barbadensis Leaf Juice Powder, Pistacia Lentiscus (Mastic) Gum Oil, Limonium Gerberi Extract, Microcrystalline Cellulose, Hydroxyethyl Acrylate/Sodium Acryloyldimethyl Taurate Copolymer, Caprylic/Capric Triglyceride, C20-22 Alkyl Phosphate, Potassium Cetyl Phosphate, Decyl Glucoside, C20-22 Alcohols, Cellulose Gum, Parfum (Fragrance)**, Xanthan Gum, Ethylhexylglycerin, Tetrasodium Glutamate Diacetate, Sodium Hydroxide, Propylene Glycol, Phenoxyethanol, Chlorphenesin.